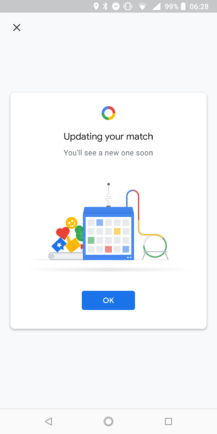 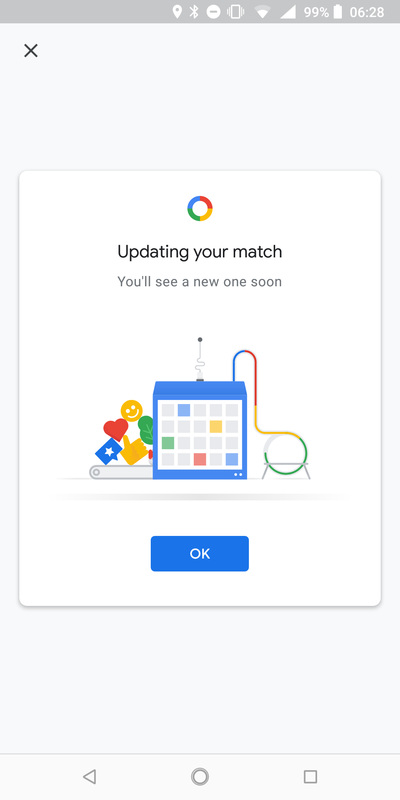 Google officially announced that the score matches are rolling out to everyone along with the For You tab and the new Material look we covered earlier. 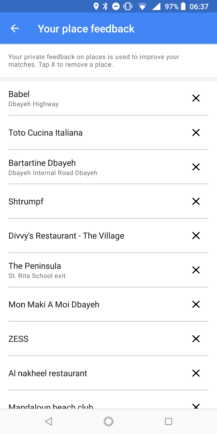 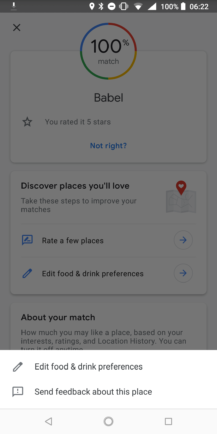 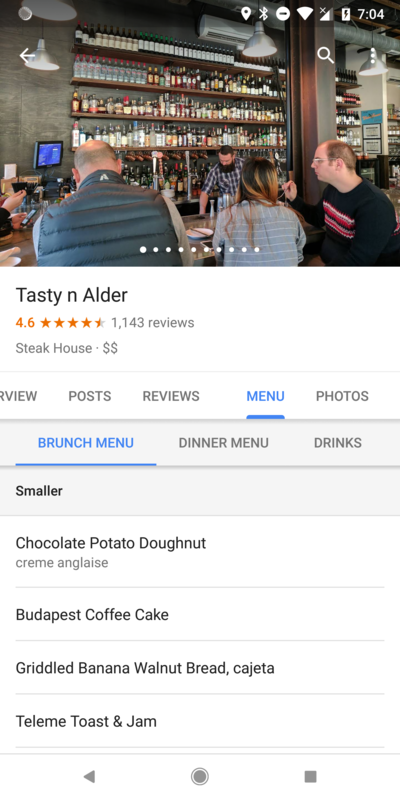 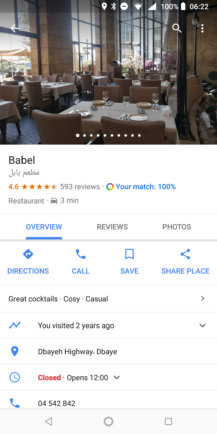 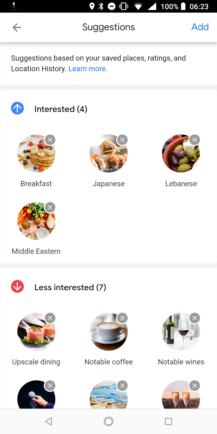 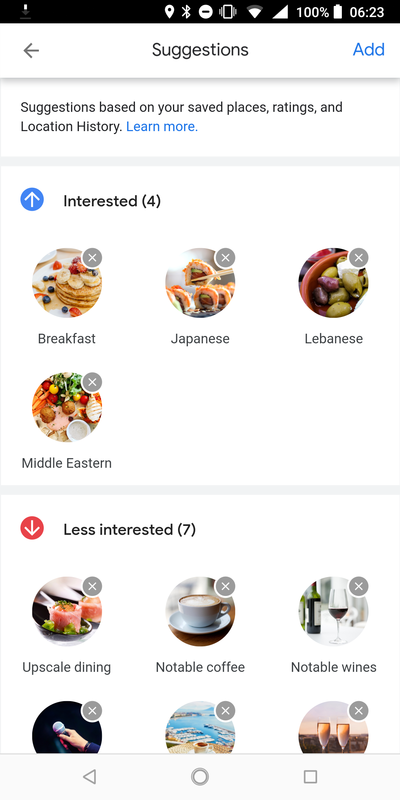 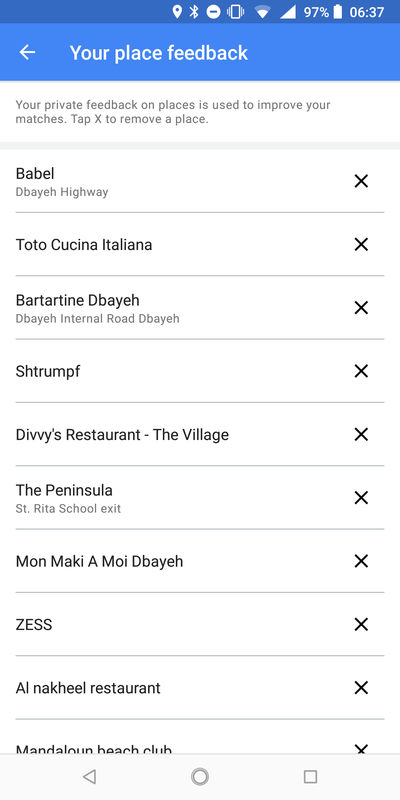 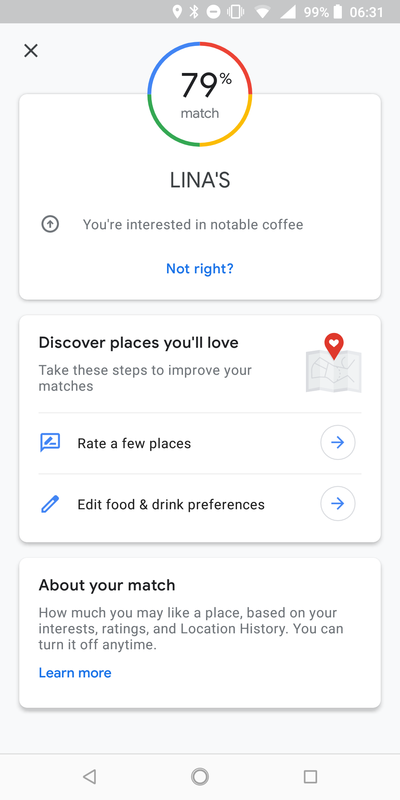 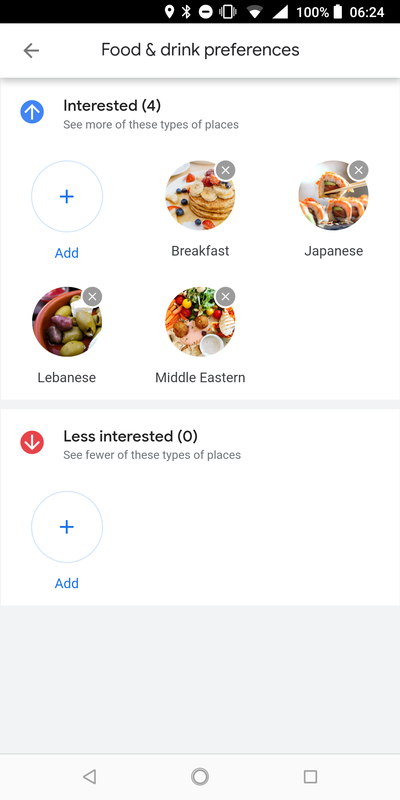 While the Match scores will appear on restaurant detail pages and suggestions resulting from the scores will appear in a couple of different places, you can also open the Settings screen to find a new section titled Exploring places. 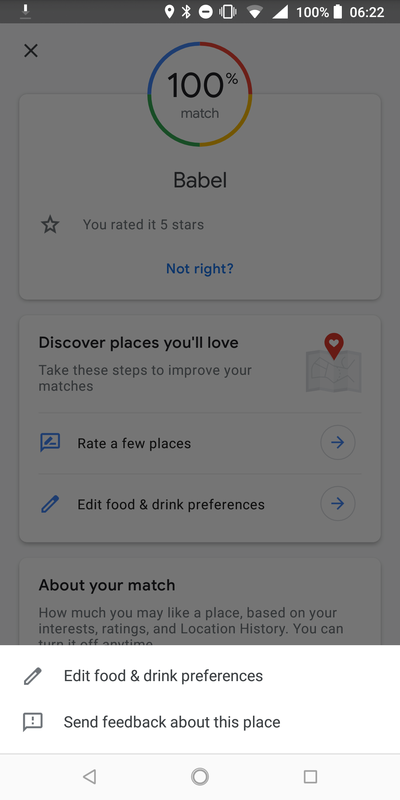 That's where you can change your preferences and see a list of places you've rated. 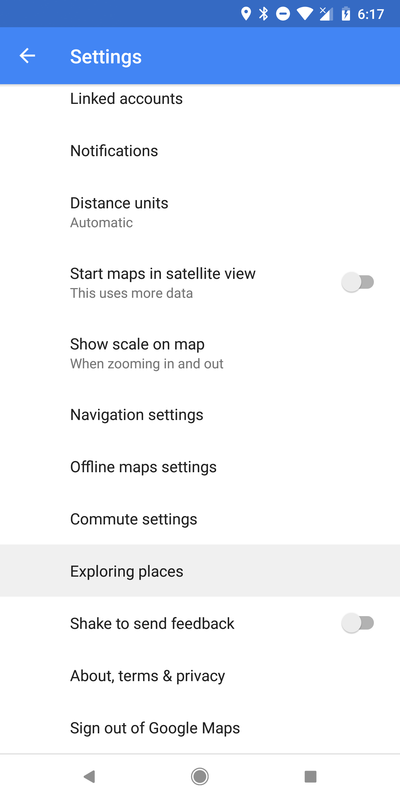 New text includes three types of reports: Crash, Speed camera, and Speed trap. 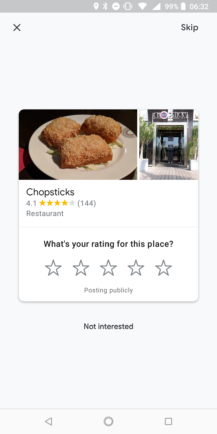 There is also text for vote up and down buttons and the obligatory warnings to only use the interface when it's safe to do so. 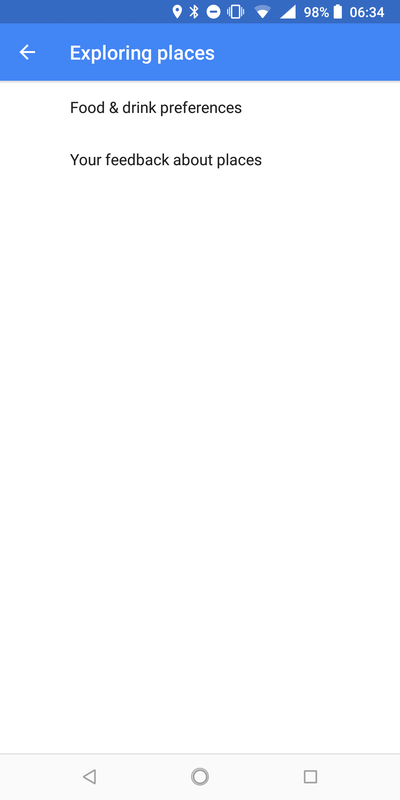 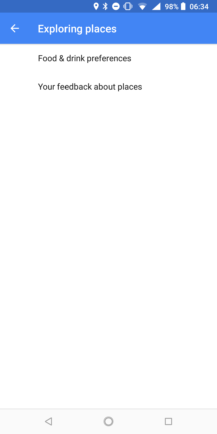 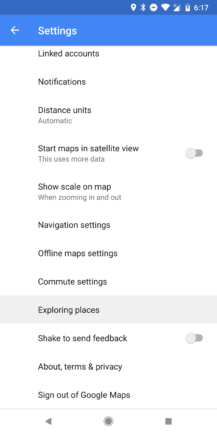 Overall, there's very little text to look at, which makes sense for a feature most people will be using while they drive. 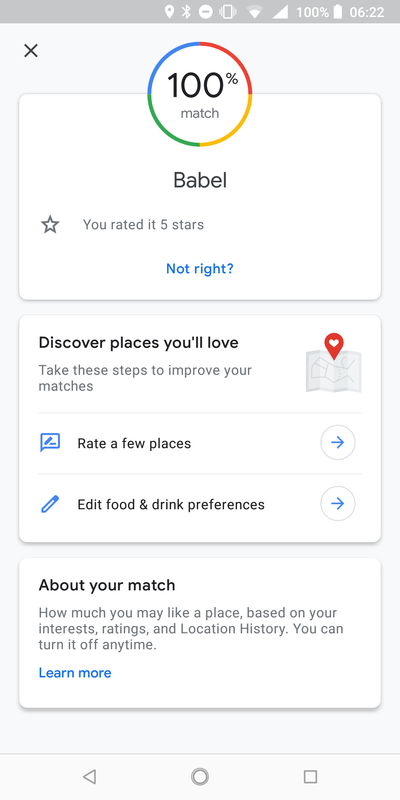 Of course, the For You tab will contain all of those recommendations based on Match scores and various lists and suggestions, but there's a little more to it. 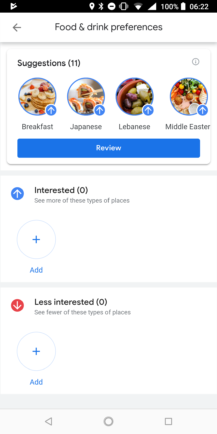 Users will also be able to follow places and areas in almost the same way they follow somebody on Twitter. 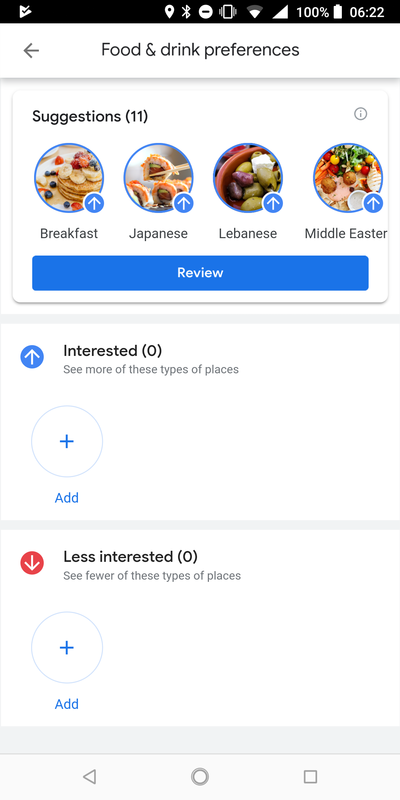 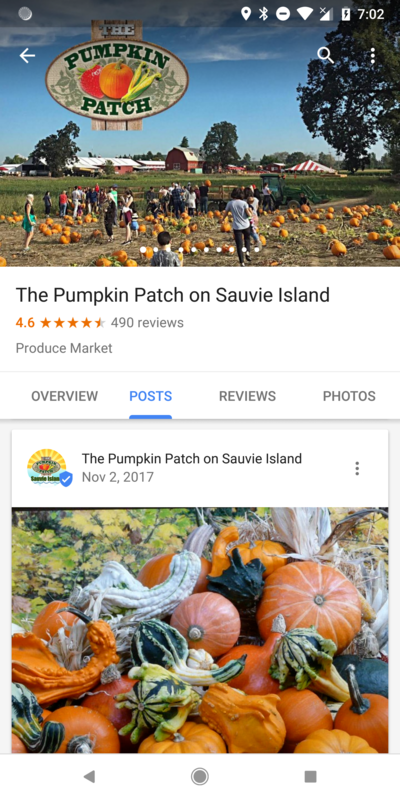 When you follow places and areas, you'll get articles and other updates those places change.